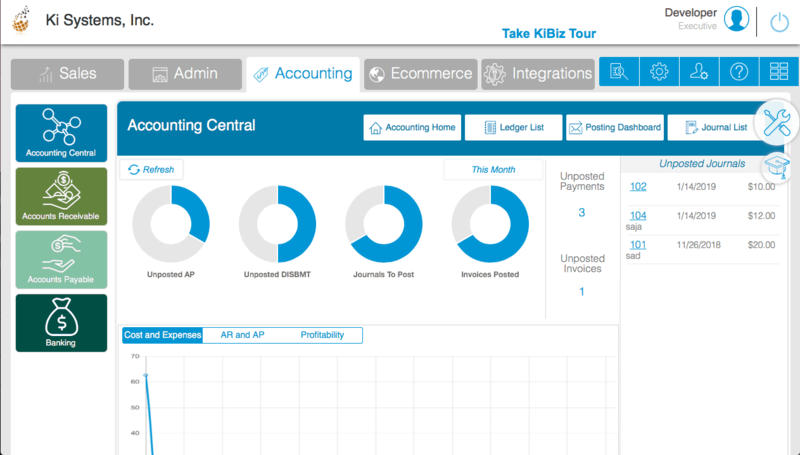 The KiBiz Accounting System is a double-entry accounting system that is fully integrated into the front end Ki Business system. It is user-friendly, flexible, and customizable. The advantages of having the entire system reside in FileMaker is that it gives the user greater flexibility, better data accuracy, and can save time and energy. All the key Accounting Reports are produced, along with the capability for check writing, applying a single payment to multiple customer or vendor invoices, producing billing statements, and knowing where your business stands at any given moment. 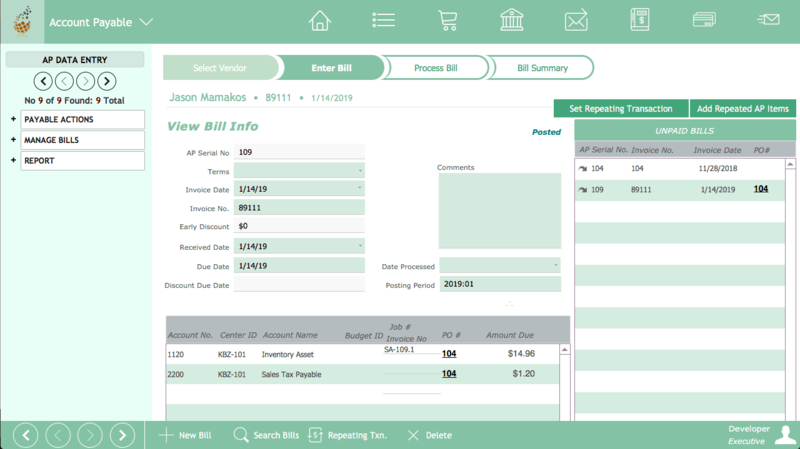 KiBiz Accounting can also be connected any FileMaker based front end business system. Knowing Customers overdue Payment and Credit History of Each Customer. Viewing Aging on overdue invoices Applying early pay discounts Applying late fees. 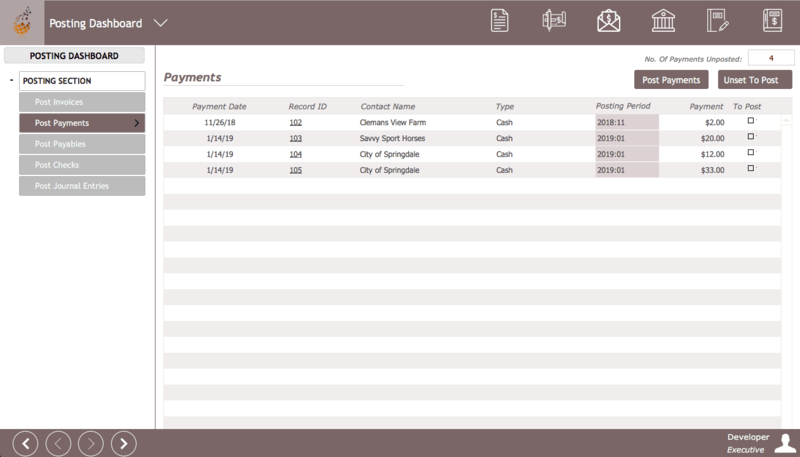 The receivables from the Invoice module flow into the Accounts Receivable module. Knowing Immediately What you Owe and When you Owe. Automatic Creation of Bills for Shipments Received. View history Using Bill Process Wizard to enter and process your bills. Tracking and applying early pay discounts Using repeating bills tool. Decide which period to Post Invoices, Payments, Payables, Checks and Journal Entries to optimize your Financial Picture. 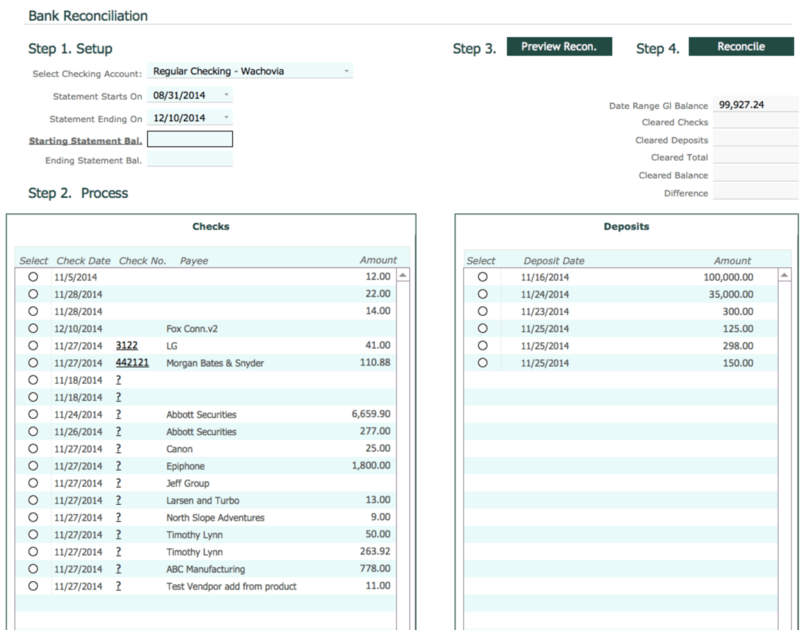 Easy use Tools to Create Deposit Slips and Reconcile your Checking Account.